Foundations of a Roman fort have been discovered here, along with the earliest remains dating from the 6th-8th century AD. Sarda was founded between the 6th and 8th centuries BC. The town was strategically located on the old road from Shkodër to Gjakova and served as a resting point along the trade route. The city largely flourished from the 8th to the 13th centuries and was an important cultural and religious center. Within the city there were 365 altars, each devoted to a different saint. It gained its highest importance in the 12th century, when it was the seat of the joint bishop of Sapa and Sarda. 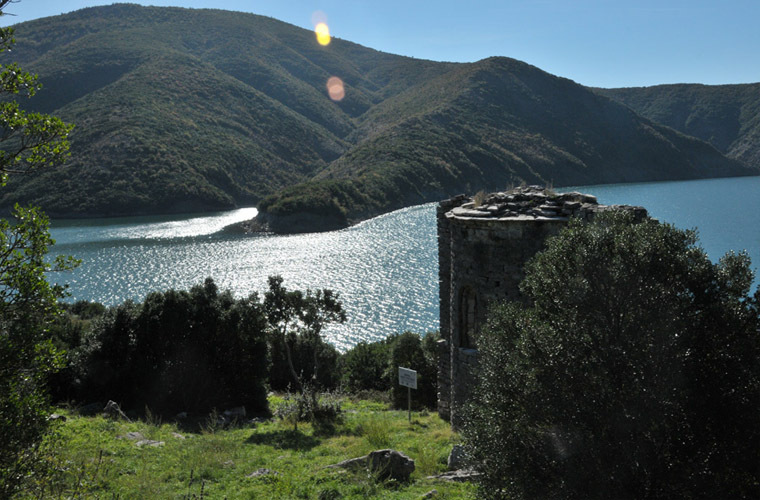 The island was the original settlement of the feudal Lekë Dukagjini patriarch, famous for the rules of the Kanun. It was ravaged by the Ottomans in 1491. In 1973, when the dam was completed, the city of Sarda became an island on the left bank of the river Drin.